A well mannered gundog does not retrieve until given permission to do so. He must sit calmly whilst the retrieve falls to the ground and wait for permission to be sent. We call this ‘steadiness’ to fall. There are several reasons for training steadiness into our gundogs. Self restraint is an important skill. A working gundog should always be under your control for safety reasons, and he is not under control if he is doing things without permission. 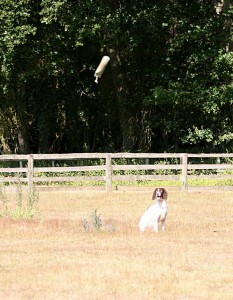 Steadiness allows the handler to select the retrieve. Waiting to retrieve teaches the dog to control his own impulses or urges. Impulse control is an important part of dog training especially in gundog training where the dog is subjected to so many temptations and excitements. A working gundog is operating amongst guns and safety is paramount. The gundog that charges off without permission could potentially knock into a person holding a loaded gun. Putting himself and others at risk. Why should it matter which bird your dog retrieves? Surely it is best if he just collects them as they fall? Actually it matters a great deal. Sometimes birds are not dead when they fall to the ground. Sometimes they are wounded. It is vital to prevent suffering that a wounded bird is collected immediately. If two birds are shot in succession you must be able to chose which one your dog collects first. This must be your choice because his choice will always be to collect the first bird he saw fall. Whereas his duty (and your responsibility) is to collect any bird which is wounded first. Your dog is simply not in a position to collect a wounded bird if he has run off to collect a stone-dead bird that fell fifty yards away whilst your wounded bird is limping away in the other direction. A dog must therefore wait until told to retrieve if he is to fulfil his role of ensuring that wounded game is not left to suffer. When should steadiness training begin? Inappropriate steadiness training can have severe and unwanted side effects. It can damage retrieving desire in a young dog. To find out why, read: Building and maintaining retrieving desire. There is no ‘set’ time or age to introduce steadiness. It depends entirely on the dog’s attitude to the retrieve. Because steadiness can damage a fledgling desire to retrieve it should not be commenced until the dog has developed a real passion for retrieving. Until that time he should be allowed to run in (chase immediately) every retrieve you throw. 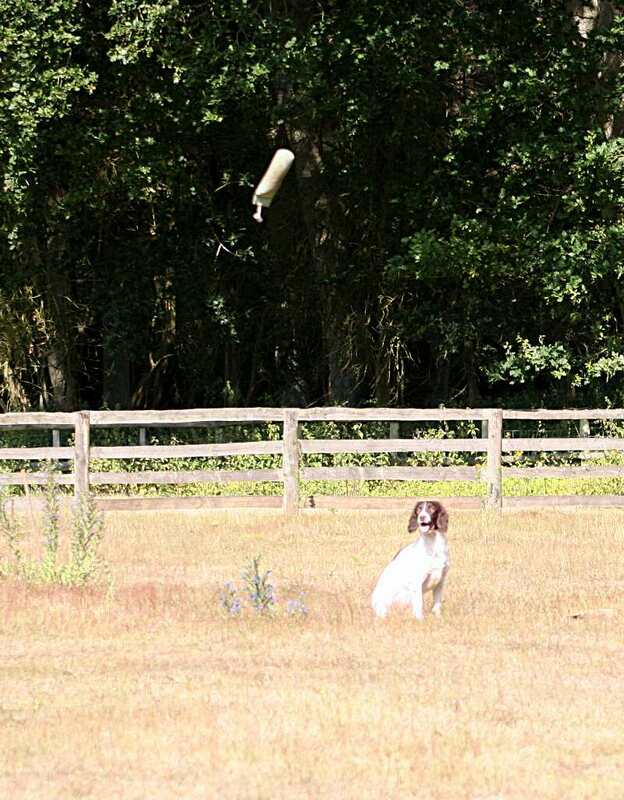 If your gundog has demonstrated a real and persistent passion for retrieving over the last few weeks, and he is over six months old, it is probably time to introduce him to steadiness. We’ll look at how to do that next time.